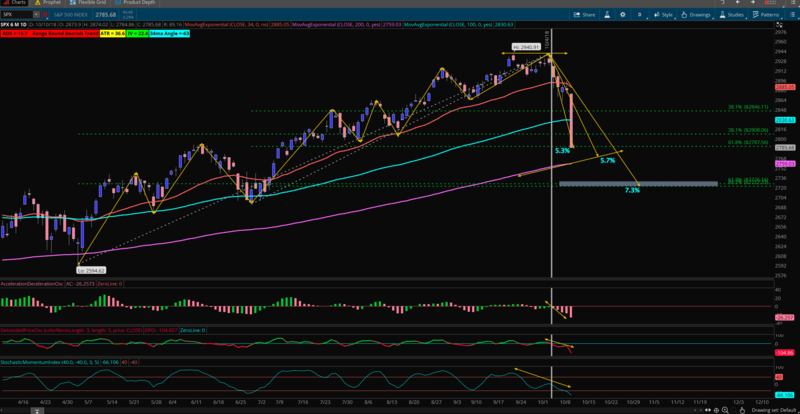 as expected, SPX bottomed at my Fib K level…and Bounced from there..I exited both my nov short 2650 puts a while ago, for a 50% gain, as ES put in a intraday hi…chart attached…. 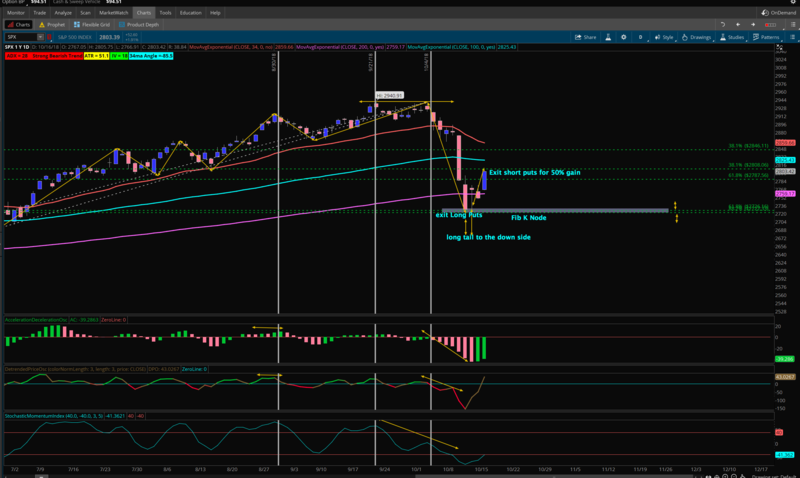 My SPX Chart for this current sell off…as is usually the case, on oct 4th, teh indicators I use called for a reversal at the top..see the white Line, as it intersected teh ADO and DPO moves to the downside..after a double top retested the 2940, the dam broke down…and as usual, I took advantage of the sell off based on my chart indications…. Closes that weekly trade out at +9.60…..
resold the same puts for 5.40 for the rest of the prem they have…. Resold the same puts for another 7.40 in premium..
STO aug 3 2525/2625 Credit Spread (BUPS) 7.20 CR when ES was coming off its lows.. Took my small Profit as ES was at the High of the Day..